A strange rock formation with numerous legends trying to explain it. The Teufelsmauer is a sandstone formation reminiscent of a giant fence, extending approximately 12 miles on the Harz Mountain Range. 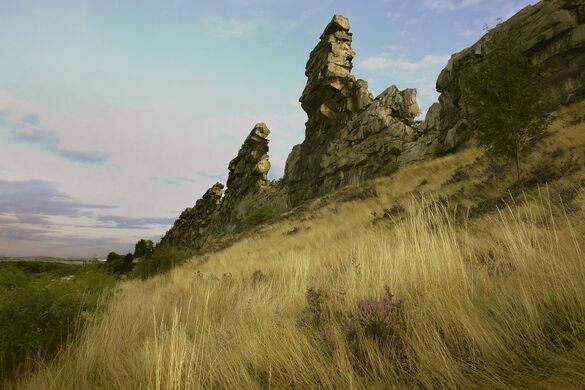 The rocky structure has been the subject of curiosity and folklore for as long as people have lived near it. The only remaining U-boat that is still floating never actually saw any action in World War II. One story, collected by the Brothers Grimm, explains the rock formation’s nickname. 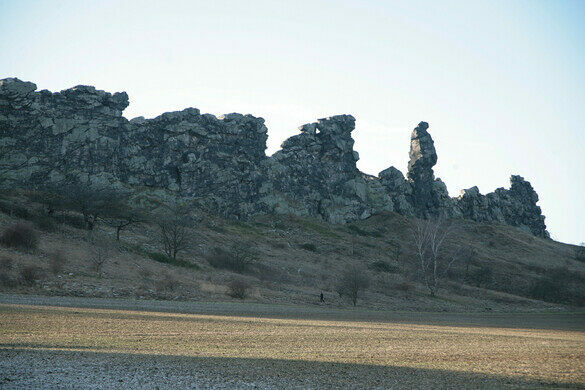 The local people referred to the rocky gravel area near the Harz as the “Devil’s Dance Floor,” and the standing rocks as the “Devil’s Wall.” As the legend was told, while God and the Devil were fighting for dominion over the world, the Devil was given a time frame to build a fence dividing the Earth in two. He was unable to finish the wall in time, thus got none of the Earth at all, and knocked down a portion of his wall in anger. There are numerous variations on this tale, such as one in which the Devil had only one night to finish the wall, and that when a rooster crowed before dawn he thought he had failed and toppled the wall. More foreboding versions tell that everything behind the wall actually does belong to the Devil. In actuality, the holes in the Teufelsmauer were probably the result of erosion over the course of eons. The strata of the wall vary in their density, and some portions would have toppled when the Harz rose from shifting tectonic plates. Additionally, parts of the sandstone could have been knocked out by melting glaciers at the end of the Ice Age. 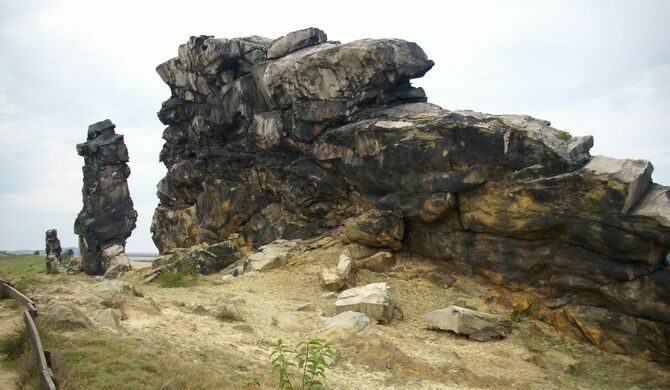 Germany has acknowledged the rock formation’s rarity for some time. Because sandstone was in such high demand during the 19th century, the Teufelsmauer was placed under special protection in 1833, making it one of the oldest nature reserves in the country. Local people protested at the time, but authorities felt justified in their “romantic” causes for preserving the rock monument. Constantly maintained, this organ is playing a six-century long composition by John Cage. On the highest peak in the Harz Mountains, science and the occult faced off in a failed attempt to turn a goat into a boy.